Occult fractures are very difficult to detect in children. Acute onset of limping in infants and children can be an indication. 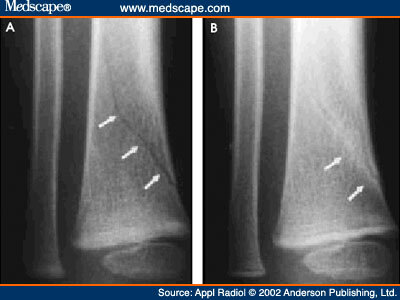 The classic toddler fracture is a nondisplaced oblique fracture of the tibia resulting from twisting or rotation due to a fall or stumble. 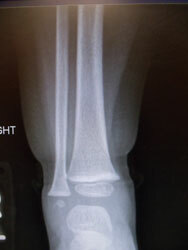 X-rays are taken 2 to 3 weeks after the injury often show changes consistent with healing. MRI is being used for early detection of toddler fractures. The downside to MRI is children often need to be sedated to keep them still during the imaging study. 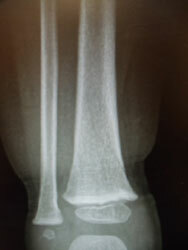 Treatment is often a cast or boot immobilization.